"This edition contains the original and unabridged text of Great Expectations by Charles Dickens. Formatted for study with large margins for student notes." Great Expectations is a coming-of-age novel, and it is a classic work of Victorian literature. It depicts the growth and personal development of an orphan named Pip. Dickens felt Great Expectations was his best work, calling it "a very fine idea." Great Expectations has become very popular and is now taught as a classic in many English classes. Great Expectations is set among the marshes of Kent and in London in the early to mid-1800s. It is a graphic book, full of extreme imagery, poverty, prison ships, "the hulks," barriers and chains, and fights to the death. It combines intrigue and unexpected twists of autobiographical detail. The novel reflects the events of the time, Dickens' concerns, and the relationship between society and man. 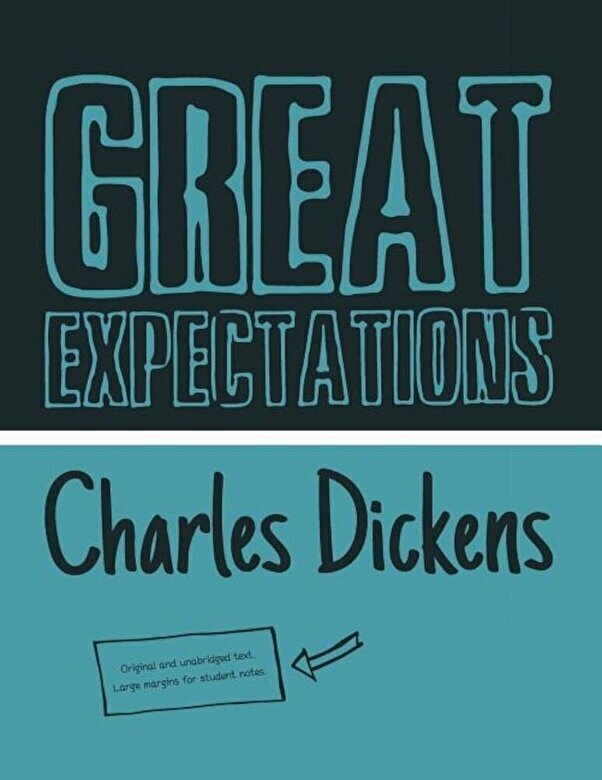 Dickens originally intended Great Expectations to be twice as long. Collected and dense, with a conciseness unusual for Dickens, the novel represents Dickens' peak and maturity as an author. According to G. K. Chesterton, Dickens penned Great Expectations in "the afternoon of his] life and fame." The novel has a colourful cast that has entered popular culture: the capricious Miss Havisham, the cold and beautiful Estella, Joe the kind and generous blacksmith, the dry and sycophantic Uncle Pumblechook, Mr. Jaggers, Wemmick with his dual personality, and the eloquent and wise friend, Herbert Pocket. Throughout the narrative, typical Dickensian themes emerge: wealth and poverty, love and rejection, and the eventual triumph of good over evil.